High blood sugar can damage the eye’s tiny blood vessels, leading to an eye disease called diabetic retinopathy that can cause vision loss, in addition to cataracts and glaucoma. Schedule an eye exam at least once a year. 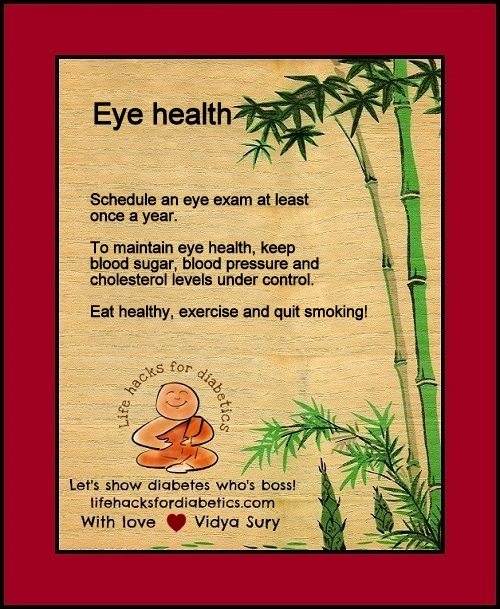 To maintain eye health, keep blood sugar, blood pressure and cholesterol levels under control. Eat healthy, exercise and quit smoking!